The Pokémon Company International has announced that Ash and Pikachu will continue their adventures across the tropical Alola region in Pokémon the Series: Sun and Moon – Ultra Adventures this month. The 21st season of the animated Pokémon the Series, Ash encounters the Legendary Pokémon Solgaleo and Lunala in a dream and makes a promise to them. But when he wakes up, he can’t remember what it was. Will the strange Pokémon called Nebby help jog his memory? With Nebby and the rest of the students at the Pokémon School, Ash and Pikachu explore the Aether Foundation, an organisation that dedicates itself to Pokémon conservation and care. But it may not be as innocent as it seems, and Ash and his friends will have to work together to protect the people and Pokémon they care about as they face a mysterious power like nothing they have ever seen. 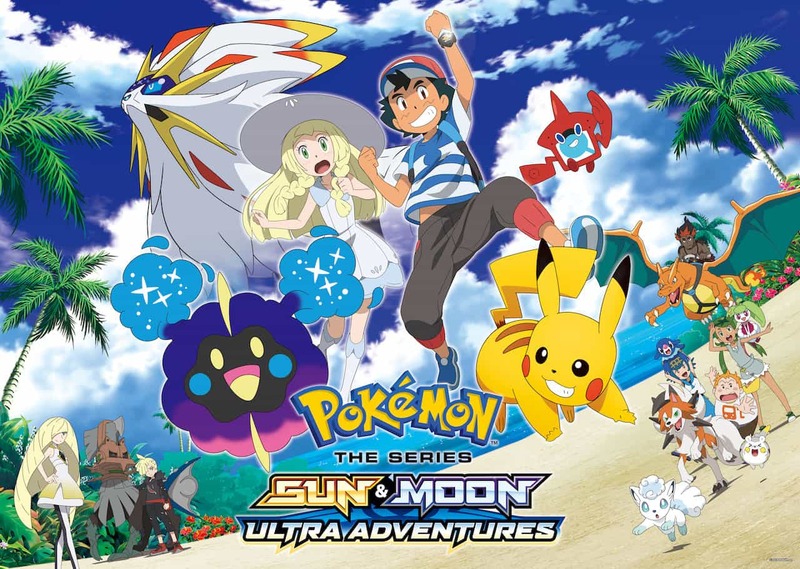 Pokémon the Series: Sun and Moon – Ultra Adventures will air on CiTV in the United Kingdom this month, and on Disney XD in the United States starting on Saturday 24th March at 9am (ET/PT) with eight episodes airing that week.